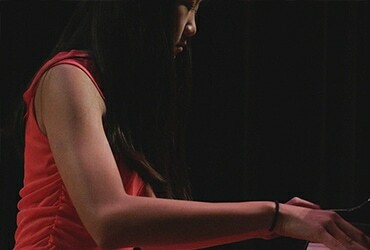 Preparatory Music is a community school for young musicians, located on the beautiful campus of Holy Names University in Oakland, CA. 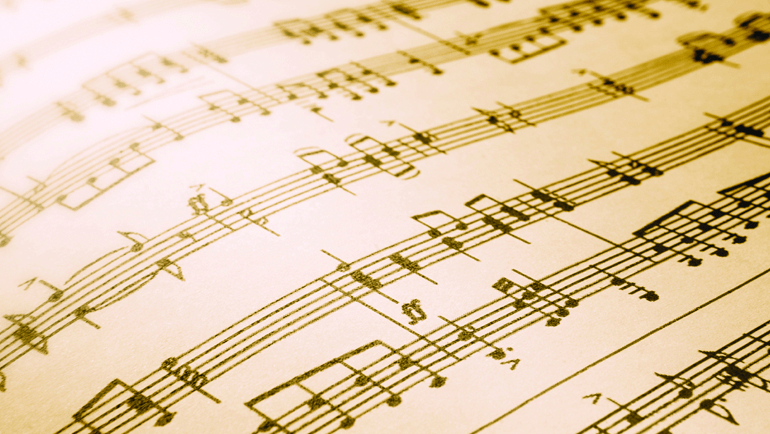 Prep Music offers private instruction on ten instruments: violin, viola, cello, harp, guitar, piano, flute, oboe, recorder, drums, and voice. In addition, youth orchestras, group string and piano classes are offered, as well as numerous concerts and large musical events. 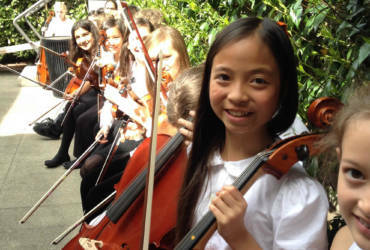 The mission of the preparatory music department is to develop the musical potential in young people by creating a nurturing environment where students, teachers and parents together foster a life-long appreciation of music. 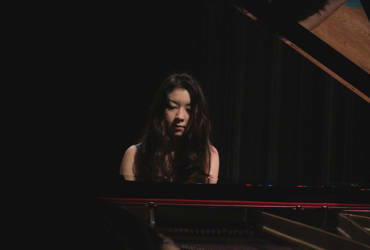 Using a 9-piano and a 5-piano labs, the beginning, intermediate and advanced piano students engage in an intensive 14-week ensemble program to study multiple-piano repertoire. 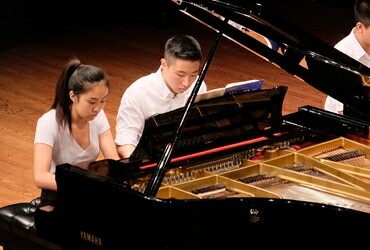 For more advanced Piano players, this intensive duet/duo piano ensemble class will meet for six weeks and perform in an Ensemble concert at the end of each semester. 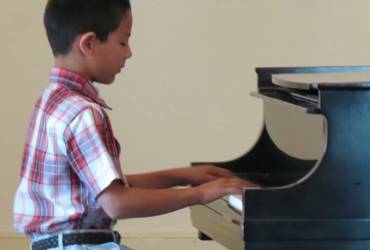 In an engaging social atmosphere with peers, beginning-level piano students will enjoy refining Suzuki piano repertoire and learning other musical skills and concepts together. 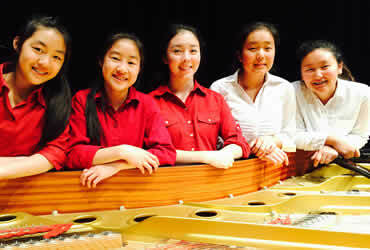 This piano group class provides a beginning ensemble experience for students who are at an early-intermediate piano level. 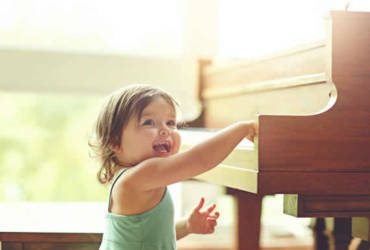 The Suzuki music and movement classes will familiarize parents and children with Suzuki Book 1 repertoire through singing, dancing, movement, percussion, and listening. These classes offer a nurturing environment for caregivers and babies to foster a love of music and internalize musical concepts in a fun and completely age-appropriate way. 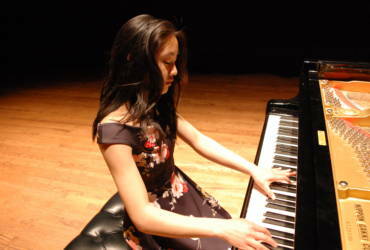 Suzuki Violin repertoire and technique will be emphasized, along with theory, note-reading, and ensemble playing skills. 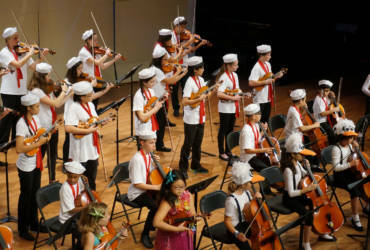 A beginning level ensemble for violinists, violists and cellists with no required prior ensemble experience. 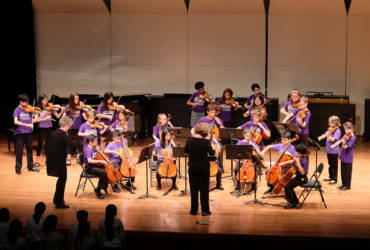 Designed for the intermediate-level string player to provide a stimulating, high quality ensemble experience with instruction in orchestral technique and ensemble playing. 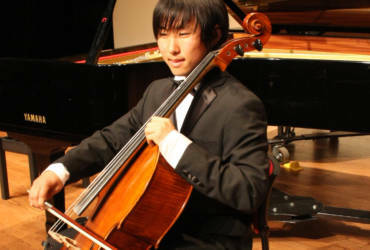 For more advanced string players, this intensive will meet for six weeks. Chamber music (string quartet, trio) offers the opportunity for solo playing while also requiring listening/sensitivity to other group members. 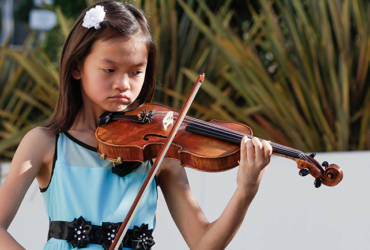 Preparatory Music at Holy Names University, in partnership with The Kodaly Center, presents: Sight Reading and Musicianship Classes in the Kodaly Method A transformative approach to ‘thinking in sound’ Holistic, experiential technique for all levels: beginner to intermediate and advanced.